Home » Car » CX 3 » Honda » Jetta 2019 » LCD Panel Instrument » Mazda » Mazda 2018 » Mazda 3 » Mazda 3 2018 » Mazda 3 design » Mazda 3 Hatchback » Mazda 3 Sport » Mazda CX 3 » Mazda KAI » Mazda3 » Premium » SkyActiv-X » Toyota » Leaked Mazda 3 2019, Full LCD Instrument! 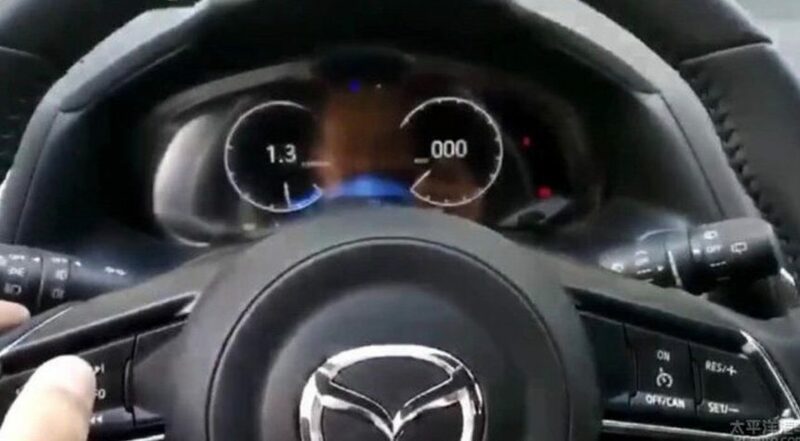 Leaked Mazda 3 2019, Full LCD Instrument! Although yesterday the new Mazda 3 introduced again in Indonesia through the variant Mazda 3 Speed, overseas Mazda 3 will be able to a new generation that is in the development period. What is certain to change is the engine, will use a new SkyActiv-X engine that does not use spark plugs like a gasoline engine in general. Apart from that, Mazda 3 design preview has been represented by the Mazda KAI concept. So what's new in Mazda 3 2019? Well, the leaked images from PCAuto who got the picture in China this seems to be a little explain. 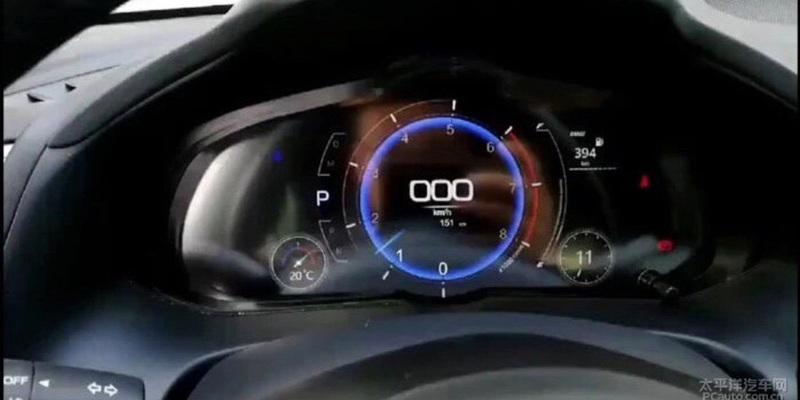 There are photographs featuring an instrument panel inside the car cabin that is similar to the steering wheel of Mazda cars, and apparently the car that claimed as Mazda 3 2019 is already using the instrument panel full LCD! Wow, it's okay. But okay, actually the full instrument panel LCD is not a new thing, even for a non-premium car class. Renault Koleos spek Indonesia alone is full LCD, just unfortunately the car is scarce on the streets. Back to Mazda 3 2019, there are several display options that we can see. 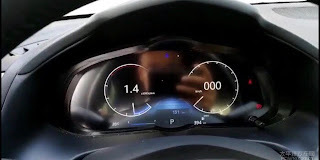 The first mode features a large tachometer and a digital speedometer in the center, where at a glance similar to the Lexus LFA, Audi TT, Audi R8 or Audi RS5. The second mode will feature a separate speedometer and tachometer, with needle animations for both and a digital number in the middle of both circles. Really be the BMW of Japan yes this Mazda, even the instrument panel was somewhat similar. Unfortunately, it is not known whether it supports multimedia functions such as Virtual Cockpit Audi sophisticated or not, but yes it is also very good. In addition to impressive sophisticated, LCD instrument panel can make the car seem more premium. We hope that the fate of Mazda 3 good in Indonesia and the next generation can be presented, features such as full LCD panel Instrument also qualified here, considering that Mazda is not a stingy manufacturer features. Jetta 2019, Mazda, Mazda 3, CX 3, Mazda CX 3, Mazda3, Mazda 2018, Mazda 3 2018, Mazda 3 Hatchback, Honda, Mazda 3 Sport, Toyota, Mazda KAI, SkyActiv-X, LCD Panel Instrument, Mazda 3 Design Preview. 0 Response to "Leaked Mazda 3 2019, Full LCD Instrument!"